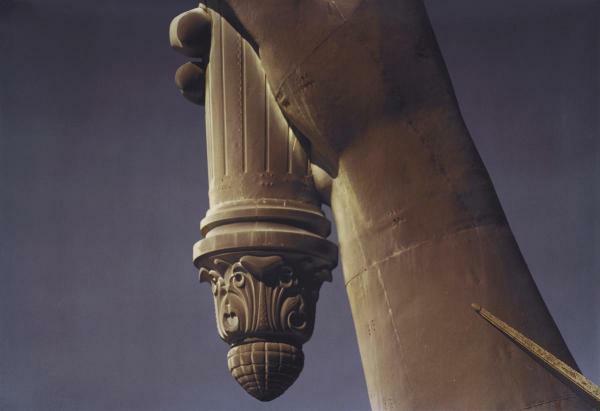 “Torch” original giant-sized photograph by Ruffin Cooper, Jr., 1979. 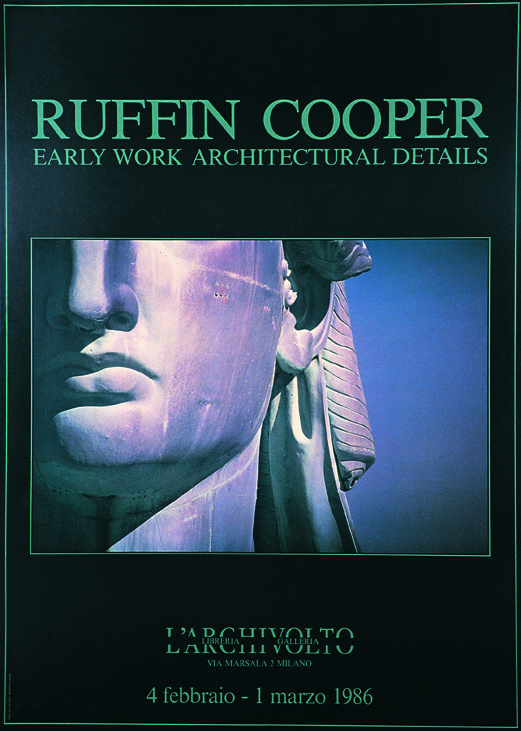 Ruffin was a public relations client in 1980-81 whose large-format images of American icons garnered considerable renown. For his well-known Statue of Liberty series of images of which this is only one, he rented a helicopter and pioneered first-of-their-kind oversized art photography prints. This Chromogenic image measures 32 3/4″ by 48 1/16″. 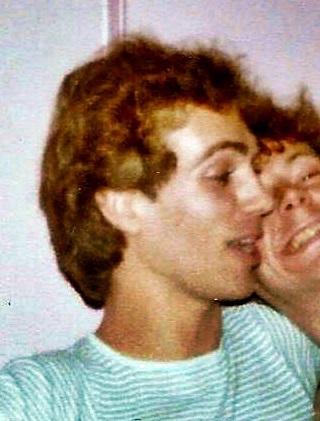 For the last 20 years, or so, when the inevitable question has arisen from all sorts of people in all sorts of places, “Did you lose any friends to AIDS?”, my standard answer has always been “Well, when the list reached 30, or so, I stopped counting,” which was true, but I realize now that perhaps I could have found a kinder way to answer, one perhaps not as calculated to stop the subject in its tracks, which may have been my real, if unconscious, intention. After all, these memories are hard; the pain long-lasting. But that was then, and now I have taken on the task of finally and fully honoring these missing lights; of telling their stories; 0f emptying their memory jars out upon the table, one-by-one in living prose, that others might share in my delight. And, I have decided to accept this challenge because these people that I knew and valued were real and whole and aglow with promise until they were suddenly stopped in mid-flight before the world had a chance to notice their emerging brilliance. So, if there is ever to be balance in the universe, these portraits must be drawn, both that the people they reveal may be rediscovered, as well as to make clear, as best I can, the almost unimaginable magnitude of what is gone and never to be retrieved; to connect the dots that encircle the vast nothing where the cultural richness of their decimated generation should have thrived and, by now, multiplied into a hanging garden of radiant delights to inspire and uplift us all, but instead, never was. Jerry Sarnat, whose company, I.M.A.G.E. Inc moved Time, Inc. magazine production into the digital age. And if it is to be done, now seems the time. Only now, with the advent of Ancestry.com and related sites, is there enough online information to help me find relatives, uncover yearbooks photos, and confirm the important dates that fill out these stories. But the larger reason to proceed now is because so many of the friends and relatives I must contact are getting on in years. Just last month, the mother of someone who is on my list, and who had already agreed to help me, died peacefully in her sleep at 95. Her daughter assures me she will be able to help, and I am very grateful, but hers will be a different story. I cannot delay. Parameters for inclusion in this series are specific: I’m profiling everyone I can remember with whom I was on a first-name basis; only those actual friends or colleagues with whom I had a personal connection. But, even so, when I finally sat down to make the list, I was astonished to discover that my glib answer of 30, or so, was seriously understated. It turns out that, as of this writing on March 3rd, my list is at 52, but even this number is subject to change around the edges, and it can go either way. On the one hand, I just discovered this week that one friend I had included on my list actually died of a heart attack – no less tragic, surely, but a different story than the one I am telling. Conversely, on the very same day I learned of that misperception, a Facebook post from a mutual acquaintance reminded me to add Bill Pflugradt to the list, the musicologist for Rebekkah Harkness with whom I shared an apartment for a few months in 1982 and who died in December of 1991. I already knew he had succumbed to AIDS, but up to that point I simply hadn’t remembered to include him. I remarked at the top of the first of these profiles, about Randy Robbins, that I was writing this series for three audiences: First, for those we lost, that they may not be forgotten; secondly, for the generations of LGBT brothers and sisters that have come after these events that they might have a truer understanding of the shoulders upon which they stand; and thirdly, for me, that I might finally and fully honor my missing friends through these recollections. 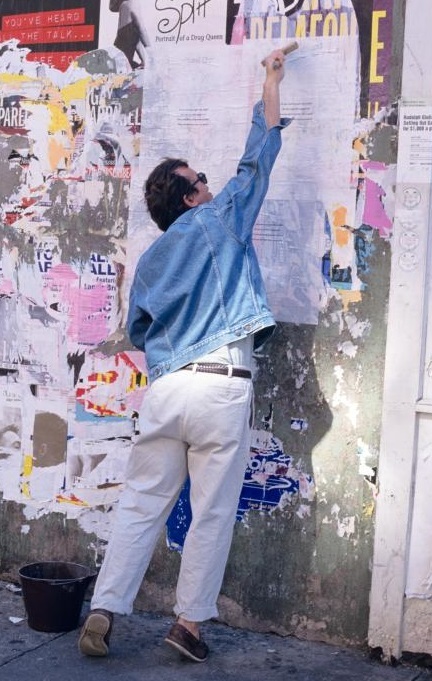 Mark Simpson, prime mover of Gran Fury, the artist cooperative arm of ACT UP, wheat-pasting iconic “Four Questions” posters of his own devising in 1995. But as I have progressed, it turns out there is another audience that I had not even considered at the start, but is surely the most important of all: the families and loved-ones who have survived and who, like I, continue to mourn their fallen. I hadn’t really factored them into my thinking because so many of my gay friends in the 70s had been disowned and, indeed, had made their way to New York City to find their fortune precisely because they were no longer welcome at home. But much has changed in the last quarter-century, and while there is still resistance, even today, in some quarters, for the most part I am finding families to be cooperative. But every profile is different, with different challenges, and I have come to appreciate that this process of gathering resources from family and friends takes time. So, if you are one of those people I have already contacted about Jimmy Caparelli, or Jimmy Parker, Dean Savard or Mark Simpson, Tim Dlugos or Stephen Jay, Bill Whisenant or Lynn Stanford, please be patient with me. It’s a big job and I’m getting it done as fast as life will allow. TBT/GTS#2: George Falkenberry: Born to Act: My fast friend from Alabama who preceded me to New York and whose apartment was my NYC launching pad. Bobby Thompson of Virginia: A Birmingham-Southern schoolmate, and also one of my roommates during my first month in NYC, Bobby was working in midtown as a desk clerk at the Dorset, one of the better New York City hotels, and was the significant other of the poet Tim Dlugos, who also lived in the same apartment during the month I was in residence. 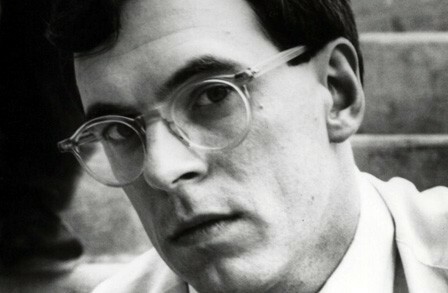 Tim Dlugos of Virginia: A well-recognized poet [https://en.wikipedia.org/wiki/Tim_Dlugos], Tim was another of my apartment mates for my first month in New York City in 1978. 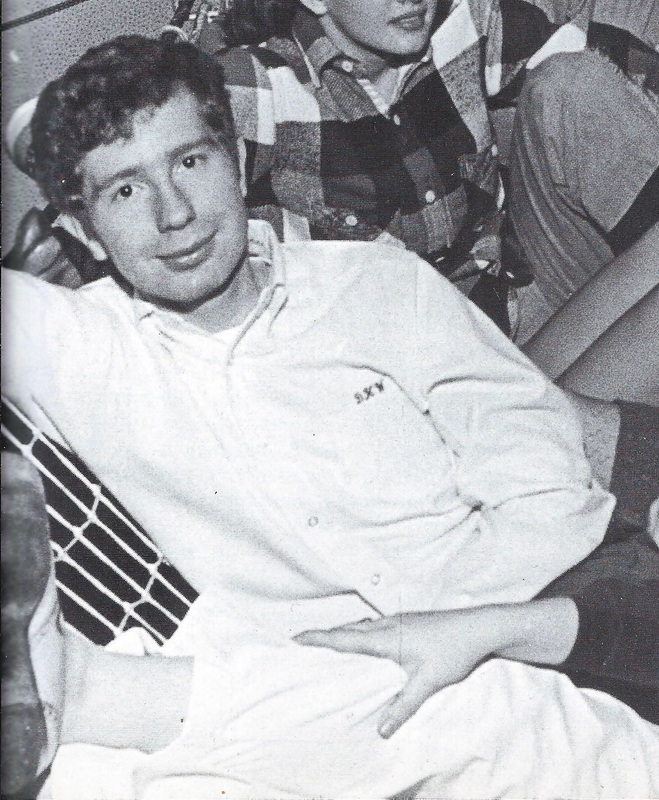 After Bobby’s death and toward the end of his life, Tim moved to Yale to study for the Episcopal priesthood, but died before gaining a divinity degree. Jimmy Parker of Texas: My first “significant other” from 1978-1980, Jimmy was performing in the Radio City Music Hall Summer Spectacular when we were introduced by a fellow Texan. Jimmy was also cast in the long-running national tour of My Fair Lady with Rex Harrison which moved to Broadway in 1981 for 181 performances. 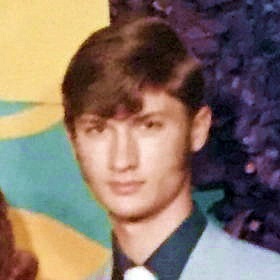 Joey Parker of Texas: Younger brother of Jimmy who died two years after he did. I did not know Joey nearly as well, but they both attended North Texas State University and, toward the end, spent their final months in the same care facility in Dallas, so it seems only right to tell both of their stories and honor both of their memories. Paul Walker of Texas: An emerging playwright with a sharp, ascerbic wit, Paul was Jimmy Parker’s college classmate and best friend. Following our break-up, Jimmy and Paul roomed together in a great little Soho apartment that served as Paul’s home until the end, though Jimmy moved back to Texas once he became ill.
David Haney of Texas: David was an astute businessman and hair magician (Dolly Parton’s preferred stylist) who managed his own salon in Greenwich Village until his demise in 1993. His step-mother was another of Jimmy Parker’s good friends from North Texas State, which is how our apartment came to be David’s first digs upon arriving in NYC in 1980. 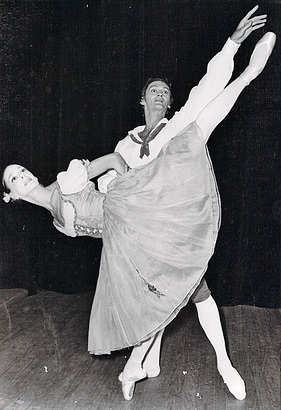 Joseph Mann of Washington, D.C.: A ballet dancer, Joseph had studied with Mary Day at Washington Ballet and among other gigs, was hired as a soloist with Ohio Ballet. Joseph would come and go at a whim and, showing up suitcase in hand when least expected, eventually stayed in nearly every New York apartment I have ever had, including the current one where he stayed in the late 80s with Richard and me. A great and loyal friend to many who still miss him. Robert Lawson of Virginia: Was Michael Webster’s roommate in the downstairs apartment. I am still gathering information about Robert’s early life. Lynn Stanford of Texas: A melody maker extraordinaire and Dallas friend of Jimmy who lived on our same block of 69th Street, Lynn became one of my closest friends for over a decade. 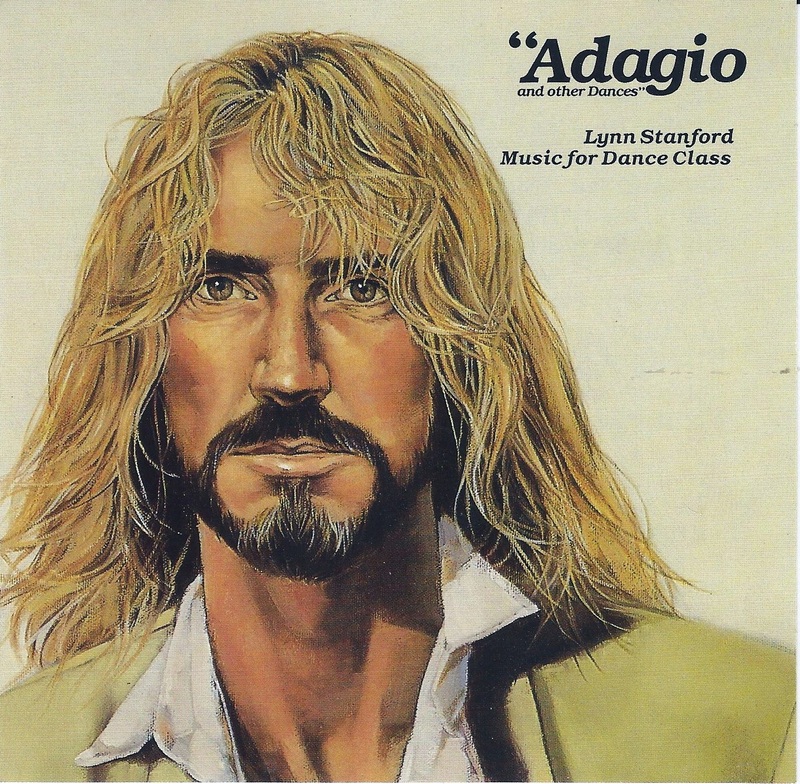 A world-class ballet pianist and composer, Lynn toured internationally with Barishnikov and left behind 22 albums for ballet class still in print and in use by ballet teachers around the world today. Rodger Brumley of Arkansas: Journeyman carpenter and roommate of Lynn Stanford on 69th Street, Rodger moved to Fort Worth in the late 80s with fellow apartment mate Todd Edson, who later became principal dancer of the Fort Worth Ballet and who is still a great friend of ours. Ruffin Cooper of California: A visionary art photographer who pioneered large-format industrial and “monumental” landscapes, Ruffin hired Barbara Weinstein and me to do his PR in 1980. He lived in an astonishingly beautiful home atop Russian Hill in San Francisco that he graciously gave to Jimmy and me to use for an unforgettable week’s vacation that same year. William Pflugradt of California: Resident musicologist for the Harkness Ballet Foundation and my apartment mate for several months in 1982. Later served as conductor of the Stonewall Chorale (the original gay men’s chorus) until his death in 1991. Jim Langrall of Washington, D.C..: Neighbor and friend on the Upper West Side, Jim was a soap opera actor who was also cast for over two years as the singing “Korvettes Man” who, mic in hand, gained fame through a series of TV and radio commercials in the early 80s to promote the, now defunct, department store. Jeffrey Fons of Wisconsin: Actor, Singer and another Upper West Side neighborhood friend who was auditioning and teaching school when we met. A star performer in the drama department at Eastern Illinois University, Jeffrey was a talented old soul with a huge heart who would have done much to make the world a better place. Tim Scoggins of North Carolina: Tim, like far too many of these friends, was tossed out of his home in North Carolina once his orientation became clear, even though, as the winner of a state-wide high-school leadership award, he had much to give. A few years younger than me, Tim was determined to become a successful advertising executive, but never really had the chance. Yves Rault of Saint-Jean-de-Luz, France: Another Upper West Side neighbor and friend, Yves was a prize-winning concert pianist who toured internationally, was delightful company and very kind. He went home to the South of France at the end, but not before giving me some very useful piano lessons on the white Steinway grand in his Upper West Side apartment. Ron Sequoio of Texas: dancer, choreographer, founder of NY Festival Dance Theatre and internationally well-regarded guest artist and choreographer whose works are still performed today. A serious Buddhist who would want it mentioned, I took over Ron’s lease when he and partner Jamie moved home to Texas in 1984 after falling ill.
Jamie deBolt of California: Jamie was a principal dancer with New York Festival Dance Theatre, a choreographer and long time companion of Ron Sequoio. They left behind their considerable collection of ballet music on vinyl which I still have tucked away for safekeeping. Joe Curcio of New York: Joe joined forces with me as a business associate in various ventures after the death of my PR-business partner of five years, Barbara Weinstein, in 1985. We served as a business management company for several Lower East Side art galleries and classical dancers. Our office was Suite 713 of what was then 1170 Broadway, but has recently been converted into the toney Nomad Hotel. Mark Simpson of New York: Joe Curcio’s significant other and a realist painter represented by Civilian Warfare Gallery. They lived in a huge Brooklyn studio/loft/factory building with a 100-foot-tall smokestack in their courtyard. 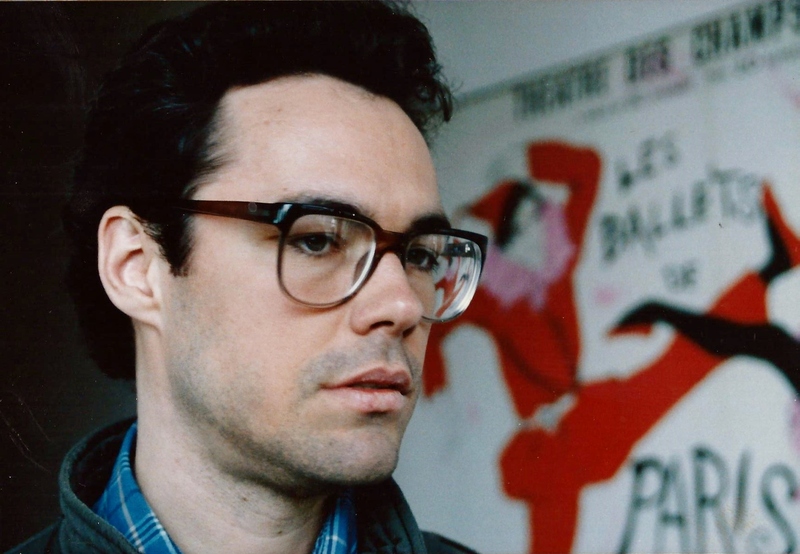 After Joe’s death, Mark became a founding member of ACT-UP and primary force behind it’s artistic collective, Gran Fury. 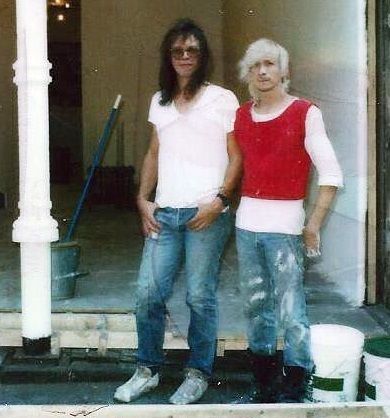 Dean Savard of Connecticut: Dean was the famous co-founder (with Alan Barrows) of Civilian Warfare Gallery, one of the leading galleries of the fabled early-80s Lower East Side art movement and also a management client of ours. 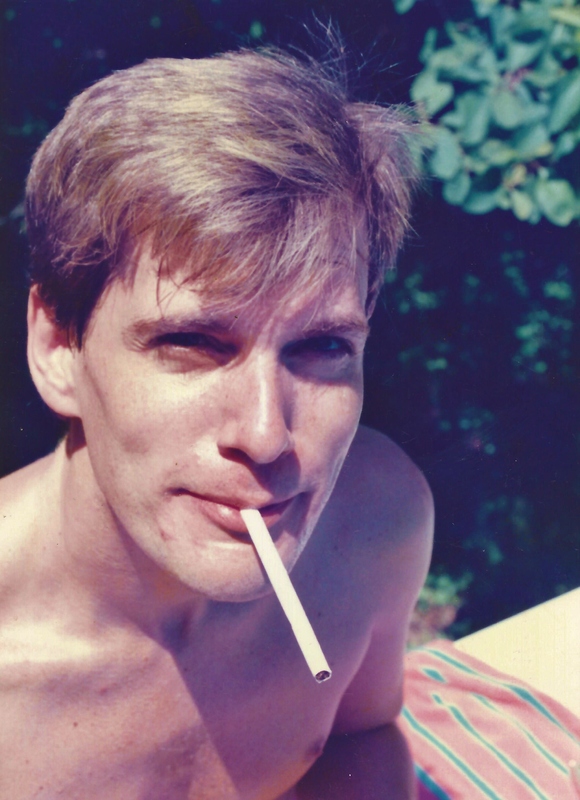 Dean was a shooting star in the NYC art firmament who burned too brightly and went out too fast. Steven Cuba of Nebras- ka: A talented artist and also a part of the Lower East Side art scene in the mid-80s, Steven was trained in Clothing design at Parsons then took his skills with a needle and created a series of fascinating two dimensional wall art pieces of fabric and lace that were basically life-sized flattened historical costume gowns – from Marie Antoinette to Thoroughly Modern Millie – applied to a backing board cut to the shape of the gown. Gorgeous stuff, but didn’t pay the bills, so he was working as a designer of children’s fashions when he died. Jimmy Caparelli of New York: Sweet, sweet friend I met in a neighborhood watering hole about 1982 and we instantly became fast friends. Most often seen in a white tee-shirt and motorcycle jacket, his great ambition was to be a star puppet designer and puppeteer, and he was already well on his way with some marvelous creatures of his own design hanging out in his Manhattan Plaza closet. Charles Foster of Kentucky: Jimmy Caparelli’s best friend who was almost always around in those days, and an eager, energetic entrepreneur . During the last few years of his life, Charlie started and, for a time, ran a successful maid service to employ friends, and friends of friends, many of whom were ill and had no other employment options available to them. 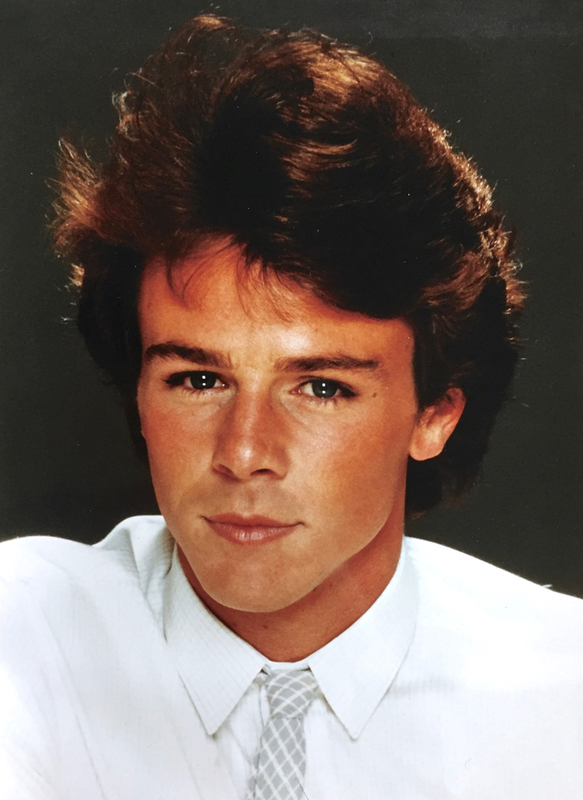 Mark Porter of New York: Mark was the front door receptionist at the The Saint, unarguably the most astonishing gay nightclub ever, from the day it opened its doors in 1980 until it closed in 1988. A great connoisseur of disco music, Mark, who roomed with me for a time on the Lower East Side, and again with Richard and me on the Upper West Side in the late 80s, was the very last of these friends to die, and even lived long enough to have a Facebook page before his body simply, finally, wore out in November of 2013. 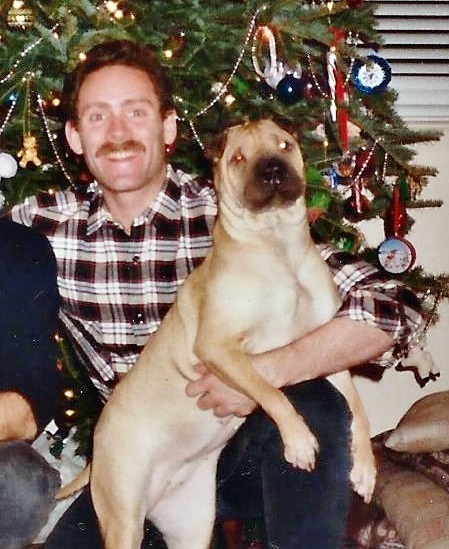 Griffin Gold of New Jersey: Griff was Mark Porter’s best friend in the late 80s, and my apartment mate for several months during dark times on the Lower East Side. Spurred to action when diagnosed with AIDS while we were living together (on the very same day, as it happened, that my business partner Barbara Weinstein hanged herself), he became one of the nine founders, and later president, of the NYC People with AIDS Coalition, one of the earliest AIDS activist groups and the inspiration for many that came after it. 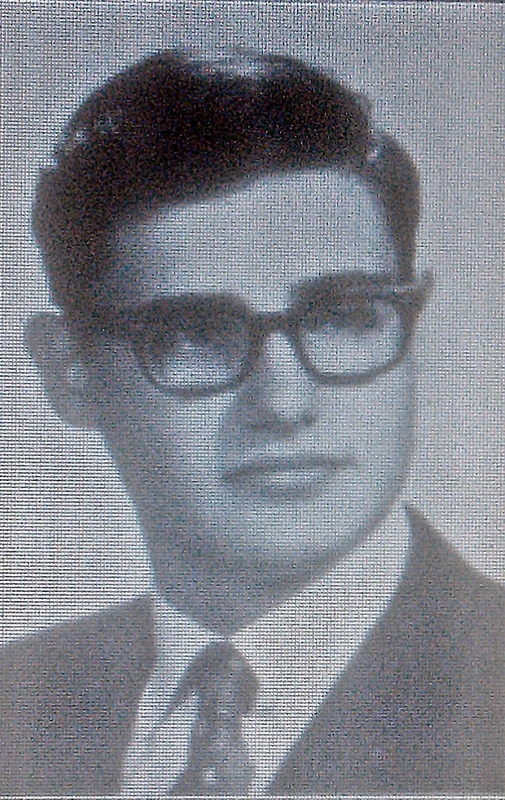 Christopher Meanor of Ohio: Also a roommate for a few months in early 1986. A modern dancer who had studied with Martha Graham, Chris was already ill by the time I met him, and moved to Maine to study computer programming that fall while I was back to Mobile, AL for a few months to renew my spirit and refresh my soul. He never left Maine, and I never saw him again. David Wilborn of Alabama: A brilliantly talented storyteller – world-class in my opinion – David was a Birmingham-Southern schoolmate and we spent the summer of 1969 together as fellow counselors of the Children’s Fresh Air Farm, a century-old camp for “underprivileged children” in Birmingham sponsored by Independent Presbyterian Church. David was an extraordinarily talented actor, mime and mimic with a face made of rubber and a heart made of love, and boy did the world lose a bright light when he died. 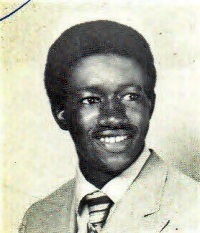 Sylvester Jones of Alabama: A schoolmate when he was an undergrad and I was in law school at the University of Alabama in Tuscaloosa, Sly was the first African-American vice-president of ‘Bama’s Student Council and his memory and aura live on in the UA student union reading room named after him. He was a brilliant politician and warm personality who would have made a huge difference had he survived. Alabama misses him more than it knows. 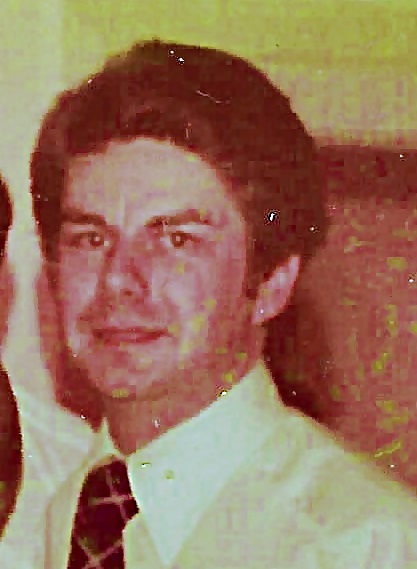 John Gary McNabb of Alabama: A highly talented interior designer and visual merchandiser, John and I were good friends and fellow local actors at Birmingham’s Town and Gown Theatre from ’70 to ’74. Part of the same small “gay family” of friends, we celebrated several Christmases together at rotating, over-the-top dinner parties that have yet to be exceeded in my experience. The man knew how to decorate. Bill Whisenant of Alabama: Also a Town and Gown colleague in the 70s, Bill was the local g0-t0 countertenor for Carmina Burana and other choral offerings, as well as a visionary entrepreneur who ran a high-end flower and gift shop in the best part of town with his significant other at the time, Richard Tubb. Richard continued in the business after Bill’s death and today is the owner/operator of Alabama’s leading interior design shop, Richard Tubb Interiors. My law school classmate Joel Odom was another consummate politician. Joel Odum of Alabama: A law school classmate of mine at Alabama, we spent every weekday in the same classes for years, but I only knew for sure he was gay when we both turned up at a place called Belle’s in Birmingham one Saturday night. Another natural politician, Joel moved to D.C. during the Carter administration and was quickly making his way up the public service ladder until he wasn’t. Steven Jay of Alabama: A high school chum of a mutual friend from Foley, AL, I met Steven when he was an undergraduate and I was in law school and we became friends. He followed on to law school the year after I had moved to NYC, and I never saw him again. Mark Chastain of Alabama: Also from Foley, Mark was an old soul, bright light and brilliant interior designer who was endowed with extraordinary taste. He headed for San Francisco after graduation and was well on his way to national acclaim when he took ill. His wife, Susan Lind Chastain, continues the business to this day as one of the country’s most excellent purveyors of interior soft furnishings. Mark played an alien in Close Encounters of the Third Kind (much of which was shot in a Mobile AL blimp hangar) but I’ve never been able to figure out which one he is. Michael Bishop of Michigan: Born Stanley J. Jakubiak, Jr., in Detroit, Michael had changed his name, moved to New York to study art, and was living in Spanish Harlem in late 1986 when Richard Cohen – who was looking to relocate at the time – saw an ad for a roommate in the Village Voice and ended up moving in with him for a few months. Meanwhile, I, having just returned from Alabama, was staying in the apartment of a friend on the floor above and it was thus that Richard and I met, and began our, to date as of last month, 30-year partnership. Michael was an aspiring artist with real talent, had received his degree from Pratt Institute and was already working as an associate curator at the Whitney Museum of American Art when we met him. 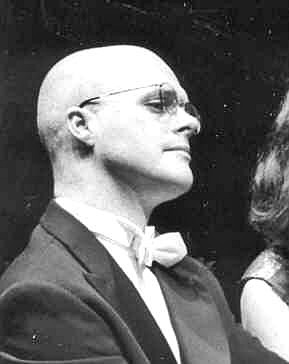 Jerome Sarnat of Illinois: Originally a Martha Graham dancer, Jerry was president of I.M.A.G.E. Inc., one of the pioneering IT innovators in the magazine industry, and the company responsible for converting almost all the Time, Inc. titles from “cut-and-paste” to digital production in the late 80s. Jerry was a great friend and sort-of Chicago relative of Richard’s whom we adored. He started doing summer shares with us at the beach in ’89 and continued until his death in January of 2001. As fate would have it, he and his partner Charles Berry were in Tampa visiting my sister, Mary, and her family, for Christmas when he became ill and died there following three weeks in the ICU. Jim McMahon and his shar pei from a late 80s holiday card. Jim McMahon of Pennsylvania: Having discovered the unique beauty and pastoral appeal of Fire Island Pines the year before, Richard and I took an every-other-week beach house “share” in the summer of 1988 in a four-bedroom place full of strangers, two of whom were Jim and his significant other, Rob Goldfarb, and so we spent two summers seeing them on almost all of our beach weekends. The Rev. J.W. Canty of Michigan: After several years renting a room in other people’s houses, we saw the light and rented our own house for several seasons (until buying in 1995), but then, of course, it was our responsibility to fill them with shareholders. That was how we met J. W., who was surely one of our most colorful housemates ever. An Episcopal priest and accomplished photographer, he had served as the chaplain assigned to the H.M.S. Queen Mary II for a time, during which he managed to take thousands of photos from all around the world. He also did celebrity portraits when he could, and we currently have a selection of his images lining our beach stairwell, including Barbara Walters, Bobby Short, Milton Berle and Rose Kennedy, among others. 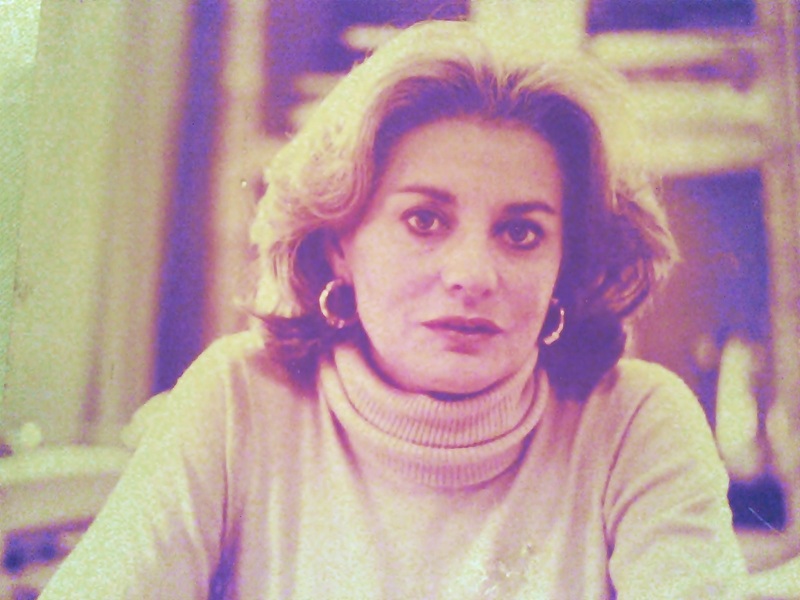 Barbara Walters by J.W. Canty. Kenneth Culp of New York: Another housemate at the beach who came to us via Jerry Sarnat in 1992. Ken was recently arrived, having moved to New York from Hawaii to pursue his craft as a pioneering personal nutritionist/trainer. An outstanding single father, he had raised his teenage daughter, Melia, from infancy. 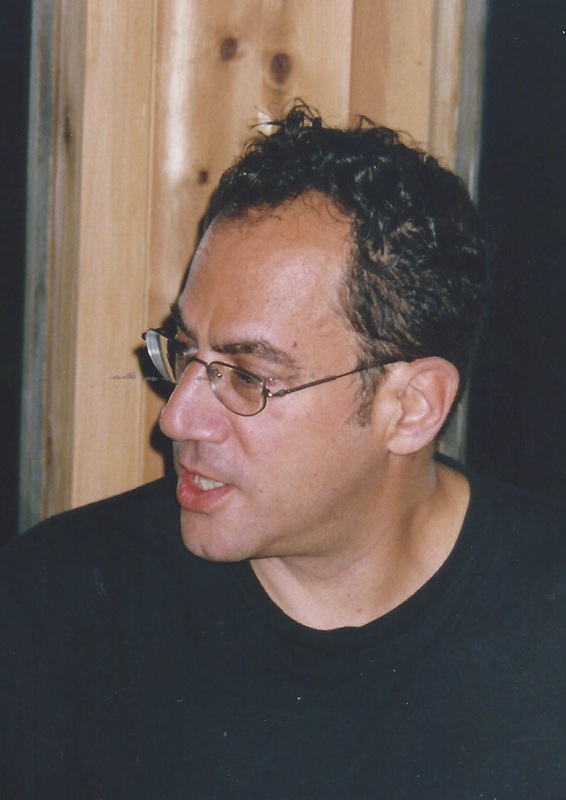 The brilliantly talented Steve Metzinger on his last outing at a Fire Island Pines drag party in 1995. Stephen Metzinger of Pennsylvania: Three big things happened in our lives during Thanksgiving week of 1995. One piece of good news was the approval for general distribution of the new cocktail of AIDS drugs that fairly instantly turned what had been a universally fatal disease into a “manageable” one, and almost immediately marked a sudden and happy end to these chronicles. The second thing that happened was the real estate closing on our beach house which has now, for 21 years, filled our summers with an astonishing array of wonderful people who have joined us as shareholders. But the third thing, the death of Stephen Metzinger, was made all the more tragic for its timing. Had he lived only a few months more, he’d probably still be with us today. A stunningly beautiful man with naturally blonde hair that was most-often worn in a French braid to his waist, he was another old soul who lit up every room he ever entered, and loved his friends without reservation. When he became ill he was the director of design for little girls at The Gap, and would have added so very much beauty to our world had he only been able to hold on a little bit longer. As you can see, my task is daunting but my determination is strong, and even writing this little summary of what is to come has brought me many moments of wistful remembering. And, if you happen to have known any of these fellows, or have photos or stories to share, please don’t hesitate to send them along. Some people have lately encouraged me to turn these Profiles in Grace into a book, and others have envisioned these tales as an episodic theatre piece, but I’m not sure, quite yet, what will come of all this. It is, after all, my job to get it right, and I can only promise to do my best with that. Thanks for being such loyal readers. Clearly, this is posted with a great deal of love and gratitude from me to you. © 2017 by George Thomas Wilson, All right reserved. This entry was posted in AIDS, Angels, belief, Death, faith, health, Love, poetry, Uncategorized and tagged ACT UP, AIDS, Ancestry.com, Civilian Warfare, David Haney, Dean Savard, family trees, Fire Island, Fire Island Pines, gone too soon, Mark Simpson, Michael Bishop, Profiles in Grace, Ruffin Cooper, Tim Dlugos. Bookmark the permalink. Thanks for sharing this, George. It is reassuring to have these connections with you. Your post makes me even happier that I decided to visit my lover Kevin’s Mom. I was both delighted and moved to read your memories of this stellar young men. All of the gay men in my life have left indelible impressions on my development of character. They have truly been the light in the room. Though each died too soon, they also live young in our memory–something old farts like me will never be able to do. Please do continue your work. I will look forward to the format you choose for your project. Most of my gay friends adore large coffee table books. If you can find enough great pictures, it would be a most fitting memorial. Thank you so much for sharing these pieces of your heart. You have always been incredibly generous. I hope you have shared the existence of this post and its touching memories especially of Jerry with Charles Joseph Berry. 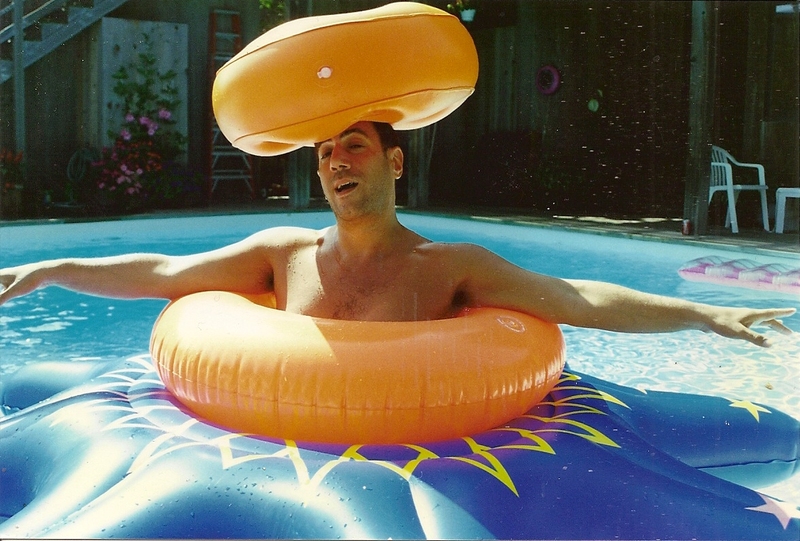 I recognize the pool inflatables from his own photos. No one is gone as long as the lives they touched remain. Oh, Mr. Wilson…how elated I am to find your page in my ongoing search for any/all information about my long ago friend, Ruffin Cooper Jr. I write this as I approach my 65th birthday, and knew Ruffin when I was in my late teens/early 20s. It was a long, winding, even surreal tale. I’m at work on a memoir (cheekily titled “OBIT: First Person”) and cannot leave Ruffin out of my remembrances. I eagerly await your memories.